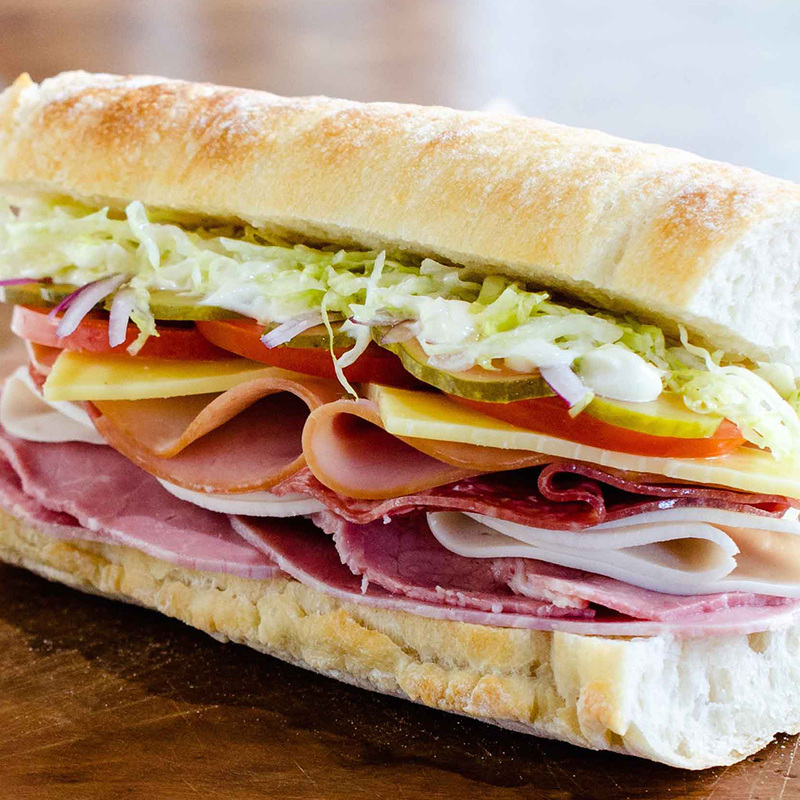 Sliced leg ham, corned beef, shaved chicken loaf, Italian salami, tasty cheddar cheese, sliced tomato, onions, pickles, shredded lettuce, dressing, and mayonnaise. 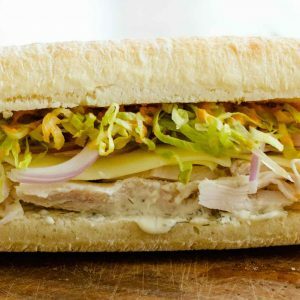 Oven baked chicken breast, mozzarella, red onion,shredded lettuce, homemade ranch, and homemade buffalo sauce. 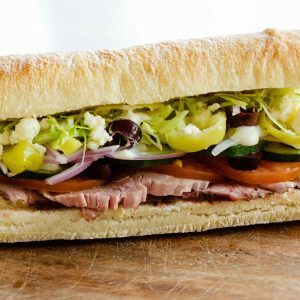 Roast lamb, tomato, cucumber, red onion, feta, Greek peppers, kalamatta olives, shredded lettuce, mayonnaise, and herb dressing. 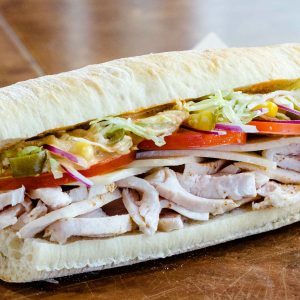 Chicken breast, Mexican spices, Monterey Jack cheese, tomatoes, jalapenos, red onion, sweetcorn, lettuce, and chipotle mayonnaise. 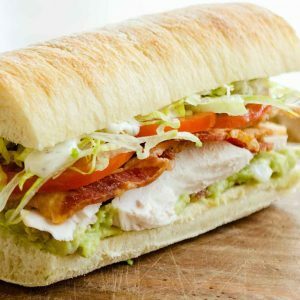 Chicken breast, avocado, bacon, tomatoes, ranch, and lettuce.